The Role for early Pancreatic IRE-Nanoknife. 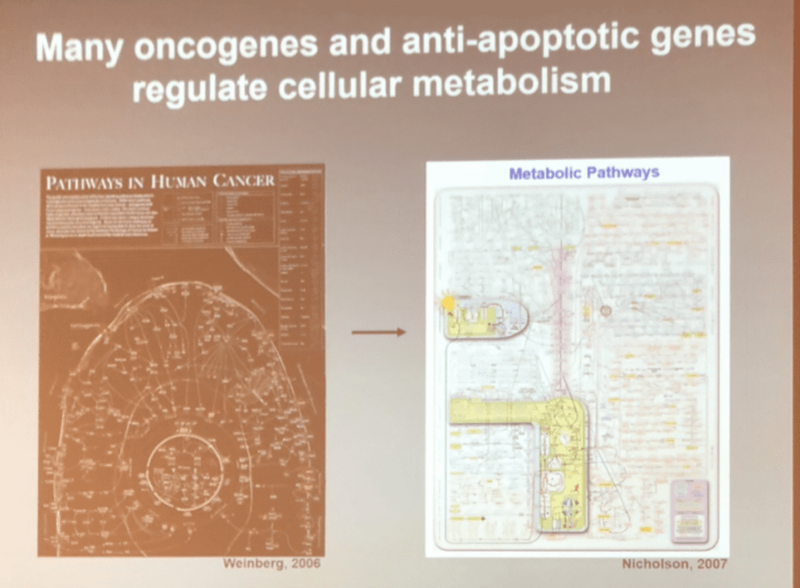 The above metabolic and cancer cell-cycle pathway charts are meant to overwhelmingly identify the complexity associated with the many levels and sites where cancer treatment can be directed. Each chemotherapeutic agent typically targets only one site and so combination therapies(eg,FFX,G/A,etc) were designed to impact multiple sites in priority pathways in the hope they would grind the cancer cellular machinery to a halt. Unfortunately and notwithstanding, the recognized complexity it has still not been enough as the cancer cell is able to begin inducing resistance against literally every agent within a few short months as clonal evolution proceeds. This was indeed confirmed to the disappointment of many when the mTOR pathway agents were circumvented by resistance. This concept of the tumor cell's rapid ability to detour and to recruit unaffected pathways is one of the reasons that one wants to make certain of their research prior to selecting a clinical trial. Being the first to participate in a well designed and promising "mouse trial" without identifiable human timeline corollaries can be exceedingly risky and result in lost time before any preliminary results might suggest a treatment failure; time the pancreatic cancer patient doesn't have. So one can see that over time multiple cancer cell lines or clones emerge all with differing degrees of drug resistance to the drugs they have been exposed to. Since new "more aggressive" clones evolve in the setting where previous incompletely eradicated clones also co-exist you begin to see the complexity in determining effective treatment for all clones using the "best" single or combination therapy than can be administered with an acceptable toxicity profile. And how do we know this in fact occurs? Well based on a number of tests such as difference between the primary and metastasis as determined by IHC(ImmunoHistoChemical) Tumor tissue staining and clonal DNA Micro-array analysis. However, patients themselves see this, though they may not realize or understand the complexity of the issue, when they are undergoing chemotherapy and find that despite continuously falling CA19-9 levels there is progression of metastatic cell lines that do not express CA19-9. Similarly one can see the opposite where non-expressing Tumor can through clonal evolution develop into a more aggressive CA19-9 expressing clone. In both cases one must be cautious into placing too much confidence in the meaning of any isolated CA19-9 level without considering alternative explanations. The diagram below shows how this evolves in both the primary lesion and the metastasis. it is the breast cancer metastasis model endorsed by Fischer that has unfortunately influenced every cancer treatment paradigm since 1975 by manifesting that once metastatic there can be no hope except through systemic therapy "alone." Again although this principle is true by and large for breast cancer it is not for Colo-Rectal, Sarcoma, and melanoma to name a few. And recent studies suggest that some stage 3 pancreatic cancers may metastasize late and therefore, could benefit from "early cytoreductive-like procedures" such as nanoknife as well. A small clinical trial is already underway that will potentially shed further light on the "elimination of the primary principal" though its small sample size may be underpowered and limit its ability to provide more than just "suggestion" of impact because it is that great unknown variable the co-existing or absence of occult micro-metastatic disease that defines survival in the end. However, by extension of the above principles through minimizing tumor burden early, the remaining "smaller volume" clones that are conceivably relatively chemotherapy naive can be approached with multiple more effective cytotoxic targeted options. So this provides the backdrop for why many medical oncologists support "metronomic" chemotherapeutic strategies. Shorter pulsed treatments than the time allowed for resistance to develop enables the return to those agents in the future. This in part explains why many patients with liver metastases survive longer after a Whipple than those who are not resected. 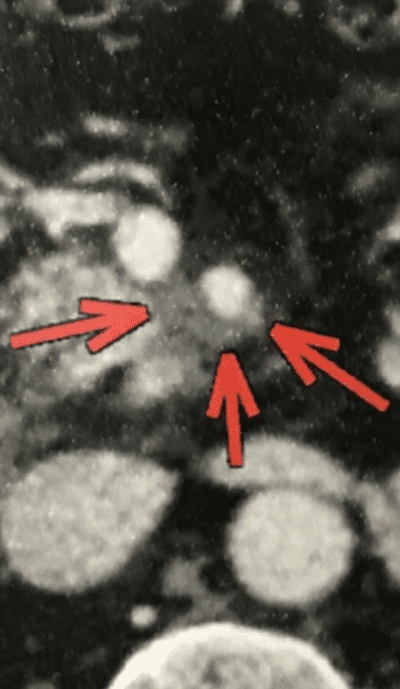 So one can see that hypothetically all things being equal that Nanoknife Ablation of the Pancreatic primary (a less surgically aggressive form resection with less morbidity than the Whipple) at the earliest possible time after excluding the possibility of resection would potentially offer an advantage over waiting. 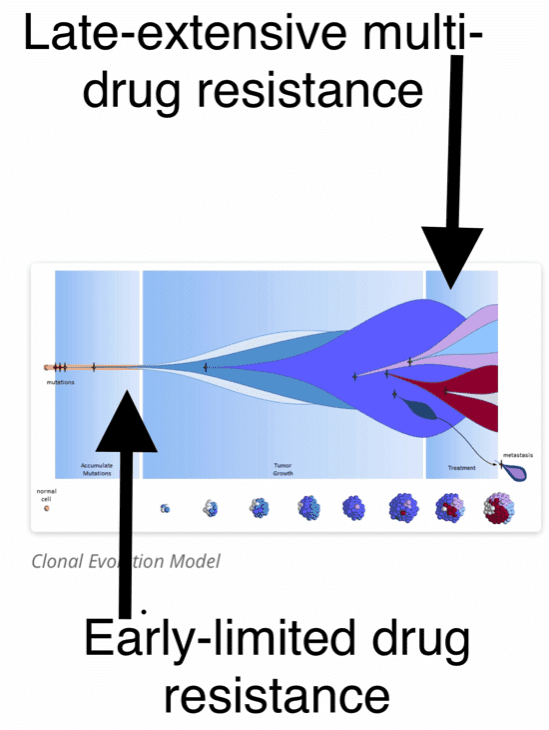 Clonal evolution of drug resistant and refractory tumor cell populations means needing many courses of therapy in a field where only a few exist. intratumoral P32, immunotherapy to name just a few have all been used and shown to be quite effective. The importance is to remember that it is not a competition as to which modality you select; it is likely you will need to have many of them over time. Rather It is selecting the best therapy for a given situation that is the critical determinant in understanding what the next step needs to be. So when asked when is the best time to undergo Pancreatic Nanoknife/IRE the answer is "at the earliest practical time after it has been determined that "surgical resection" is no longer the goal or option." The importance and integration of nutrition into the surgical treatment plan has always been a keystone in my oncology armamentarium; particularly in Pancreatic and Liver cancer which are known to be associated with significant malnutrition. Pancreatic Cancer- the Role of Nanoknife in treating advanced stage III and IV How to integrate therapy for improved outcomes. Pancreatic Nanoknife Ablation demonstrating benefit of Open over Percutaneous technique.